The CEO Speaker Series is one way that CFR seeks to integrate perspectives from the business community into ongoing dialogues on pressing policy issues. TETT: Well, good morning, everyone. And welcome to what’s not quite a fireside chat, but a breakfast-side chat, a coffee and muffins chat, with Inge Thulin, who is chairman, president and CEO of 3M company. My name is Gillian Tett. I’m the U.S. managing editor of the Financial Times. Is this working? Can you hear me OK? Yeah. Which means I oversee the Financial Times across the American area. And I am absolutely delighted to have a chance to talk to Mr. Thulin at this fascinating time, not just for America in general but for American business and America’s industrial companies in particular, because we have a relatively new president in the office who has done many things, sort of caused global debate and debate inside America. He’s also done things that have caused business in particular to cheer. And I was recently the Milken Institute and was very struck by the extraordinarily celebratory mood amongst many of the CEOs and big investors I spoke to in relation to what’s happening in Washington right now. Now, many people in the room might have a different view on all this, but I’m extremely keen to hear from Mr. Thulin, who is Swedish, what he makes of the current business climate, the political economy, what he makes of some of the biggest questions to do with innovation, industrial renaissance, jobs training, protectionism, things that 3M has been absolutely at the heart of in terms of its own development. The company is, I think, well-known to most of you. It is a fascinating example of innovation over the years. It’s, what, 113 years old, is that right? THULIN: Hundred fifteen, I believe, yeah. TETT: Hundred and fifteen. I didn’t mean to shortchange you by two years. THULIN: Oh, no, that’s all right. Yeah. THULIN: Yeah. That’s the brand equity. TETT: The brand equity, exactly. So, fantastic group of things to talk about. And he has spent much of his career at 3M, originally from Sweden. Apparently, he first went into banking for a couple of years as a trainee, and then left banking to go and make money elsewhere—which I think is wonderfully counterintuitive way of putting it. TETT: Make stuff and make money. Well, I’m sure that describing to your kids what a Post-It Note is is easier than describing what a derivative is, say. TETT: But can I start by asking you—first of all, thank you very much, indeed, for joining me here today. I should say, by the way, that the event is being streamed, as you’ve heard. How do you evaluate the current climate for growth in America today? I mean, you have worked all over the world—Russia, France, Belgium, Sweden, obviously. How do you look at the current climate in America as a place to do business, make things—including the Post-It Note—and try and grow a company? THULIN: Yeah. Well, first of all, I—first of all, we are a global company. And as you said, I have lived many places around the world. And I have operated both in the developed and developing country. And when I say operated, I in fact have lived there. So I’ve not only managed, I’ve lived in those places. So I’ve had—over all those years I got some experience first-hand relative to how I can evaluate the growth opportunities in the market, and how you can execute based on that, and live in the frame of regulation, et cetera. If you look upon, in our view—so, we are 30 billion (dollars) in sales. Forty percent of that is in United States. And United States—I often say United States is the place to be, relative to if you do business today. It’s a good place to be. There is a lot of opportunities. And we—at 3M, we never left United States. We have a big operation here. I call United States our home already now. TETT: How many of your employees are here, roughly? THULIN: In terms of our employees, it’s around 60 percent as well. So 60 percent is United States and 40 percent of the revenue, because we have some very centralized entities that are here in terms of research and development. And I can talk later about the differences between R and D, research and development, because many people sometimes, you know, put them together as one. So we have—we have 20,000 manufacturing jobs or positions in United States. And in fact, we have added 10 percent the last five years. So we have expanded in United States. And we never left. And as I said when I say it’s our home, we should never lose in United States as a company. So there’s still things that can be better, of course, in terms of many things when you do business. But this is a good place to be if you’re a science-based material company. And that’s what 3M is all about. TETT: Right. Well, I want to try and unpick some of those themes in a moment. But have you met Donald Trump? THULIN: Yes, I have. Mmm hmm. TETT: How do you evaluate him in terms of his business agenda? THULIN: You know, I’m part of this task force that—we are 26 CEOs. So I’m one of the—of the 26. And I was called upon to be part of that. So—and I thought it was more important to be inside the tent than outside the tent. And I will say, my impression—and I’ve been working on a task force that is relative to tax and trades. And I thought that was important for 3M to be part of that, see if I could be part of tax and trades, thank you very much, so I can get an influence relative to what should be done there. My observation is President Trump is pro-growth. He is—he is very engaged. And he is listening. And I can see that firsthand in those interaction we have had, that he is very engaged and he is listening, and type of getting input, et cetera. So I think this is good from the perspective of doing business in United States. TETT: So what exactly are you asking for as part of the group on tax and trade? THULIN: Well, I think, as always, you will have to have a more favorable tax code for corporations. And you will like to make sure that you can reinvest it for jobs in United States, as well as you do overseas, right? So you will like to get that in place. And I think it should be fair trade around the world. And I think, as you look upon somewhat the discussion that’s been around NAFTA, et cetera, I think it’s not to—it’s to improve it. I think it’s to negotiate for an improvement. It’s been in place for many years. I would say generally speaking it’s working well. But I’m sure, as everything you have in place, that you can improve it in terms of negotiation as you move forward. THULIN: I think—I think people have said that before as well. And I think it also depends on which industry you’re in, right? THULIN: Exactly, yeah. So for 3M that was not an issue, but for them it was a big issue. THULIN: So I think you have always to look upon it from that perspective. There are different interested based on your—the business you’re in, the sector you’re in, and your own business model. TETT: Right. But what I’d—again, I’d like to unpack that in a second about the border tax. But what I’m asking is do you think your views on the need to rewrite trade deals have shifted in the last few months? Because many of the CEOs I’m speaking to now, judging as a journalist, appear to have very subtly started a shift of their language and their assumptions about what is sensible in the last few months. Do you think your views have changed? Or do you think it’s always time to look at some of the trade deals again? THULIN: Yeah. No, I have not changed my view. I still talk about the same things now as I did a year ago, maybe. I think one important thing in all those negotiations, that I don’t hear talked about enough, is protection of IP. THULIN: Yeah. So that’s one thing, when you talk about—you talk about trade and manufacturing in one country versus the other, et cetera. One thing that need to be absolutely clear—and for us, that’s important, because we are science-based material company. We spend a lot of money relative to research and development. And research and development is the heartbeat of 3M. So in everything that is done, there need also to come in very clear rules and regulation relative to IP. Then you can say that in some cases like that is why you invest more in United States, because you can—you can protect IP here. You can produce here and protect yourself. And then you export, maybe, overseas for converting, right? So that’s not too bad. That model is working, but the supply chain will be longer. But you’d rather take the longer supply chain than to lose your IP. TETT: Right. So what exactly would you like to see the president do on trade? Would you like to have, as you say, a greater focus on fair trade? Do you think it makes sense to renegotiate NAFTA? Or would you like to—would you support TPP? I mean, what are your views on trade? THULIN: Well, TPP is gone, right? So I don’t think that’s one the table as a negotiation at this point in time. But I think NAFTA is on the way to be negotiated. And I think that’s the right thing to do. And we, as an enterprise—only to take 3M—we have the NAFTA agreement as a benefit for us of 55 million (dollars) annually. That’s pretty good. THULIN: Lower cost in terms of trading. THULIN: So that’s—if you take the NAFTA agreement, that gave us a benefit of 55 million (dollars) annually. So you can look upon that and say, well, that’s OK. But if it can be even better, why not, right? So I think that’s the portion. TETT: Right. Have you always had that strategy? Because, you know, if you go back 10 years, most of your competitors were busy putting part of their supply chain in China, in Mexico, elsewhere. I mean, have you done that? THULIN: Yeah, well—yeah, well, yes, we have. But you—I think you have to look upon it from what is your overall strategy. So our strategy over years have changed, of course, right? So you go back many years. I think there was a strategy of produce a huge facilities certain places around the world, and then shipping to countries. Then it went to strategy and we say localization. Local for local. You produce in every country for that country. There was a time of that. And then that moved to what we called regional self-sufficiency. So today you don’t produce necessarily in every country in Europe and every country in Asia. What you do today, you have bigger enterprises and functional manufacturing that produce for that whole region. So we call it regional self-sufficiency. So you need to be sufficient in every region around the world if you can. TETT: So within North America, do you regard Mexico as part of that regional self-sufficiency strategy? Or do you put everything just in North America? THULIN: We put something in Mexico for Mexico. THULIN: And we put something in Canada for Canada and United States. And then you have United States that produce for United States and some rest of the world. So we are net exporter of 3.5 billion (dollars). THULIN: So we export more than we import. So 3M is a 3.5 billion (dollar) net exporter. So some of those discussions around the strategies for the future is not really relevant to us. As I said earlier, we never left United States. We expanded in international. So we never went to China or to any other country on able to capitalize on lower labor costs and then import back to the United States. We never did that. So that’s why also we say, as I said earlier, we have $20,000 manufacturing position in United States. And we have increased by 10 percent the last five years, right? So we are expanding here as we go. TETT: So what are your views about the border tax? Would you support that? THULIN: I think it depends, again, on what you would like to obtain. I think it’s—if the objective from the administration is to create more jobs, is one objective, sounds like, then I would say it’s maybe not the smartest way to do it, the way it was laid out originally, because with prices going up for all retail—if you think about the retailer in United States. Take Best Buy or, you know, you can take many of them. They import a lot. So what will happen for them is costs will go up. And I think one of the ways for them to improve profitability is then to lay off people. So the formula maybe will not work. But, you know, I’m not part of that negotiation specifically, so I don’t know. But it sounds for me like that would be the consequences if you do that. THULIN: We have a couple of billions. We have a couple of billions. THULIN: Yeah, exactly. Yeah, exactly. TETT: Is there anything that would persuade you to bring that money back and invest it in factories or jobs? Or is that just a distraction? THULIN: No. I mean, you would take back if you get the better formula for how you can do that. I think you would take back more and invest here. And today what you do, you sometime would take back, but not—in most cases we invest those money overseas. TETT: And what would be a better formula—10 percent, 15 percent, 20 percent? TETT: I would presume so. I’m wondering what the—you know, what the marginal, you know, advantage is. THULIN: Yeah. Well, I think you have—I mean, first of all, it’s very easy to talk about that from an academic perspective, right? So people throw out—someone have said 15 percent. You know, I think it must be, of course, you need to have—maybe you have to take it step-by-step. And you have to make sure you can finance it, right? So I think most people are astute enough have business acumen enough to understand that that is—you will—it is very unlikely, I think, we will go to 15 percent immediately. Very unlikely. But, you know, a move towards 15 percent will be appreciated, I think, right? And maybe they can stop to talk about the first stop or something. Maybe something they can lay out the plan and say the objective is 15 percent by X, and then you have a first stop at 25 or 22 (percent) and move it. That’s how you do business. You lay out the plan so people know where you’re trying to do. TETT: Well, it’s also how you manage a toddler. It’s call the carrot and stick. You know, you give them a kind of reward at the end of the day and tell them there’s more coming if they behave well. TETT: But the key question is, I mean, how do you then get businesses to behave well, and to make sure that that money is not used just for more share buy-backs, but actually invested as the Trump administration says it wants? Because—you know, what would persuade you to pledge or guarantee that your couple of billions you brought back was actually spent on factories or plants or people? THULIN: Mmm hmm. First of all, I don’t think you can guarantee anything in business, because the landscape is changing very fast. So I wouldn’t go and guarantee anything, to be honest. But I think the objective for any CEO is to expand and grow the business. And the best way to do it through organic local currency growth. That’s the best, most safe way to do it. So I cannot talk for any other companies, but for 3M, we will invest in our people and we will invest in research and development and commercialization in United States. That is the best model for you to do. TETT: Right. Now, you have become famous for your R&D. A number of years ago I was writing a book about some of these themes and was very struck by all the stories about your open-plan labs and how you try and get everybody to bump into everyone else in a very kind of free-flowing, creative way. Can you get the people who you need in America by hiring Americans? Do you have to import people from overseas? THULIN: You know, first of all, you look upon that like—so we spend almost 6 percent revenue on research and development. And we have stepped that up actually in the last 5 years. We spent 5.5 (percent) and then I made a commitment to say we should do closer to 6 (percent). So we do 6 (percent) now. So if you think about—you have R, research, and you have development, D. Those two are two distinctly different things that we do. We have four research center around the world. We have one in United States. We have one in Germany. We have one in Japan. And we have one in China. And then we have many development sites. So you can say that some individuals we, so-called, import in order to do work here. But we don’t necessarily need to do it all places, because we can also attract them into Germany or to Japan or to China. And that is around—that’s about research. Research is the big thing if you—that’s like—that’s like the telescope when you do business, right? The development is the microscope. That’s where you type of do modifications, short-term. That’s where you type of decide, you know, why don’t we commercialize now versus next year, et cetera. So I would say it’s by definition not a big issue for 3M, because we have a global pool that work around the world in multiple centers. THULIN: Are you talking supply chain now, or are you talking about R&D? TETT: Well, no, I’m talking about talent—R&D, talent, you know. TETT: Are you concerned about the impact of the immigration debate on your ability to manage your employees? Do you use H-1B visas? THULIN: We have, yeah. And I think we apply for—maybe apply for, on an average, 20 per year. And we get half of it, or something. We get 10 or 20. But it’s not top of mind for me relative to the success of 3M. I think there’s some other industries that are—that are more focused on it, because they need to. For us, it’s different, I would say. So it’s not top of mind. But on the other hand, you can say we only get 50 percent of what we’re asking for. TETT: But, I mean, are you able to find the people you need inside America? Is the education system producing the workforce that you need? Because I speak to many other people who are in the science and tech world who constantly tell me these statistics about the STEM gap, the lack of STEM-qualified people in America, the problems of actually training people. Can you hire the people you need to? Can you find the skills you need to? THULIN: We are very committed to STEM education. And that is where we get most of our people from. So we are very—we are very, very committed to that. And I think in that, yes, there are gaps. And I think corporations in United States can help more relative to get more money into that education, generally speaking. And I think specifically around women. So if you think about STEM-educated women today in the mix is 30 percent globally. And still 50 percent of the mix are women, right? So I think there is more that can be done. And I think that is a pool that can be utilized much, much better over time. TETT: So what are you doing in practice? Because people like Ginni Rometty from IBM are busy developing all these kind of new training programs. Andrew Liveris is also involved with this, from Dow Chemical. You know, there’s a lot of talk about things like RAMTEC, the new two-year training courses, apprenticeships. I mean, ironically, you know, Germany is being held up as a model for apprenticeship and vocational training. I dare say, Sweden has a few things they can offer on this front. You know, what are you doing in practice? And where do you think companies, and policymakers, should be looking for ideas? THULIN: Mmm hmm, yeah. I think, as you said, Germany is held up as a—maybe a best practice, in a way, right? And I think we have a lot to learn from them. We, meaning United States. And I think we should look into that. You know, we, at 3M, have initiatives where we take in people in terms of training and send them around the world, et cetera. And very much in manufacturing and in research and development. So I think that’s an important element. And I think, you know, we have talked about the broad base. As you mentioned, some of the other CEOs, what we can do together in order to improve this. And one of those initiatives have been talked about during this umbrella of manufacturing jobs in United States. So let’s see what is coming out of it, right? And I think we maybe can be more powerful together than individually, right? So some companies are doing really good things. And I think if we can go together—I think as a United States team—I think we can do better if we can do it together. THULIN: And American. I have American citizenship as well. TETT: And American. Sorry, you have American citizenship as well. So you’re Swedish and American. So you are bifurcated. Many people in continental Europe—this is really why I’m curious—particularly from Scandinavia have reacted with unhappiness to some of Donald Trump’s values. How do you—how do you deal with that issue? I mean, do you have your compatriots saying: How on Earth can you work with Donald Trump, the president, given that he does not represent values that much of Scandinavia would adopt? Do you simply say, well, actually, it’s the business agenda that matters right now? Where do you stand on the values and ethics issue because—and I don’t mean to put you on the spot here—but, you know, many of the CEO’s I’ve spoken to, you know, when you talk to them, you know, after talking about the pro-growth plan begin to get troubled, and they don’t quite know how to deal with this. TETT: In terms of whether they should speak out, not speak out. I mean, immigration for many people was a flash point. TETT: Which is one of the biggest banks in Sweden. THULIN: Yes. So I went back and had dinner with the—with the people I worked with at that time in the trainee program. And then I flew back again on Sunday morning when I woke up after this big party. TETT: (Laughs.) With lots of aquavit, I hope. THULIN: Yes, a little. Yes, a little. (Laughter.) But the point was, as I reflected on that whole afternoon and evening, no one even asked about it. THULIN: No one even brought it up. TETT: Wow. Well, that’s not the—that’s not been—that’s not exactly my experience in Europe recently. TETT: Right. Well, I would suggest that, you know, an awful lot of aquavit was drunk—(laughter)—or suggest that Sweden is—has a more mature political culture. THULIN: Yeah, could be. Yeah, could be. Yeah. THULIN: Maybe were more focused and interested in me than on something else. It could be. I don’t know. THULIN: I wrote it down. I wrote it down. THULIN: I think it’s 50,000-plus. TETT: Fifty thousand, OK. So you have Steve Jobs with six, you have 3M with 50,000-plus. TETT: I think they have more than six, but maybe seven. You know. (Laughs.) But do you see a time when you’re going to try and consolidate, streamline? Do you—do you intend to continue along this path of having fingers in 50,000 pies? THULIN: Yeah. You know, so first of all, again, there is not—you have different business models in different companies and different markets. And there’s, in my view, nothing that is right or wrong. It’s based on what you decide what will work for you. For us, as you talk about the last five years here, we went from six sectors to five business groups. And we went from over 40 divisions to 25. So the consolidation in operation took place. So that one is—as you say, if you consolidate. We have already done that. Then the important thing is that you’re relevant to your customers. The relevance in terms of what you can offer to your customers in that market, that’s what is important. And we are not in first line for consumer electronics, right? We are part of consumer electronics, but we are not in the front line where we sell product direct to the—to the consumers. So for us, it’s important to have breadth. And for us, it’s important to be diversified—both diversifying geographically and diversified from business group perspective. So you think about, we are in consumer, when you talk about our product, which is one third. But we are also in the industrial, which is one third of our company. We are in safety and graphics, we are in electronic and energy, and we are in health care. So that the differentiation of opportunities is fantastic. And I think, in my book, the thing you should avoid is volatility. So volatility—how do you avoid volatility is to make sure you have the differentiation in your portfolio and different markets and geographical perspective, and that you are relevant where you play. And I think you—if you compare the model you talked about to ours, I think it’s important that you’re deep where you play, so you will win, right? So that is, in my book, if you’re only broad, but not deep, you will not win. So you need to be really relevant in what you’re doing specifically. TETT: Right. And you said, don’t talk too much about the Post-It Note. THULIN: I didn’t say that. Just talk a lot about Post-It Notes, and then I will complement that we do more. It’s actually one of our smallest businesses in the company. TETT: So what’s your favorite product, apart from the Post-It Note? THULIN: You cannot. That’s like asking you which is your favorite child. (Laughter.) You cannot—you cannot answer that question. Right. We’re now open for questions. I’d like to ask—invite the members, please, to join the conversation with their questions. Just to remind you a couple things: Firstly, the meeting is on the record. Please wait for a microphone. There are some roving microphones. Speak directly into it. It will be courteous—in fact, it is actually compulsory here to state your name and affiliation. So it’s not just compulsory, it’s also courteous. And limit yourself to one question and keep it concise to allow everybody to ask questions if they want to. If not, I will cut you off. So we have some roving microphones. I see arms waving already. Question down there, and then over there. Q: Thank you. Nise Agwha (ph) of Pace University. I’d like you to comment on overseas cash that not only you but other companies have as well. I believe it’s a misconception that the cash is overseas, because for dollar-reporting companies, such as yourselves, they are invested in dollar products, which means indirectly they are invested in the United States. So if the tax law changes, the conception that the cash will come back home is rather misunderstood. Moreover, the last time something similar happened, companies ended up buying back their shares or increasing their dividends as opposed to investing in real projects. So would you expand on the concept of overseas cash and what will happen when the tax law may change? THULIN: Yeah. I think, you know, on—from the highest level, as we know, you pay tax on the money in the country you operate. And what we know today also, which have changed over the years. I came to the United States 1997. And it was very different at that point in time than it is today. So today, United States is one of the highest relative to corporate taxes. So that means that I pay tax in the country where I have the money. And then when I move it back, I have to pay the difference again, right? So I always play 35 percent-plus on that money. And I think in—and if you think about it, would I like to pay that much tax everywhere, yes or no? If the answer is no, then you keep the money overseas and you invest in those countries. On you question of when it happened last time, which I cannot recall—I don’t think I was part of that—I think you can—I think you can put in some type of regulation relative what the money should be used for that you bring back. I think it’s—if you wouldn’t like to be—to improve—increase dividends or in any other ways, then you maybe have to put that as a rule when you take the money back. I think it’s as simple as that. TETT: But, I mean, just to—where is the money physically sitting? Because when we talk about overseas cash piles, you know, I always have a vision of, like, piles of dollar notes sitting somewhere out in the sort of Cayman Islands or, you know. THULIN: No, they’re sitting over there. They’re sitting overseas. TETT: Right. There are some big Swiss vaults somewhere. TETT: There are some big Swiss vaults somewhere. THULIN: There is. Yeah, there is. TETT: Got a question over there. Q: Is it on? Yeah, thanks. Paula DiPerna, NTR and Carbon Disclosure Project. Q: I think it’s a great company. And I—you know, your energy efficiency, those wonderful films that you developed for smart windows. Could you speak to the role of regulation as a driver, as an incentivization formula for sort of futuristic technologies—not specifically, say, the Paris agreement, but including the Paris agreement, because there’s such a—to pick up on what Gillian’s been asking—there’s an anti-regulatory tenor. And yet, regulations have been a driver, very significantly, for some of your product development, I would think. TETT: What a fascinating question. Yes. THULIN: Yeah. Well, you have—if you think about our offering as an enterprise, 70 percent of that is design (spected ?) or regulated. So that’s a big portion. And I would say also, as an investor, that will give an investor, in my mind, a type of satisfaction relative to less volatility. So regulation can be good if it’s also doing something that is good for the world and for life. I am personally a big believer in sustainability, and I think that’s coming based on where I grew up, back in Nordic, where we always learned very early what sustainability was all about. And I think I made a comment somewhere that I was not born with a silver spoon in my mouth, I was born with a green spoon in my mouth. And so I’m a big believer. 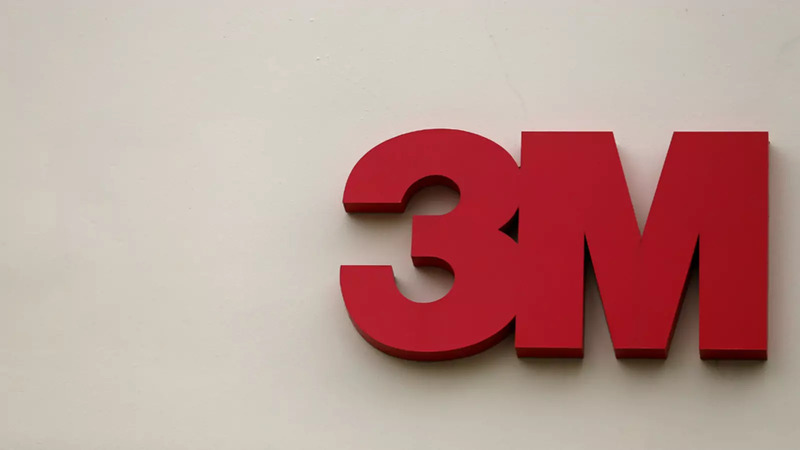 And 3M have actually doubled down on sustainability the last five years. So we are now taking—we have always done the right thing for ourselves in terms of manufacturing. But I figure out when I became CEO, as I talked to many CEOs, that we have 46 technology platforms that we can offer to our customers in order to help them solve issues for the future on sustainability. And I came to that conclusion after I talked to over 40 CEOs when I became CEO in terms of the discussion of what would they—what should they have done differently if they can take the job again? I thought, I can learn from them. And then I asked what the 10 highest priorities for them was, right? And on that top 10 list, everyone had sustainability—everyone. It was not number one or number two, but it was on the list. And I figure out this, I talk to them, it was more a threat to them. They were more concerned than trying to see it as an opportunity. So that’s why we—3M doubled down on sustainability at that point in time. So, you know, as part of our vision is to improve every life. That’s part of our vision. And I think you can do that through technologies. And regulation is, in some cases, good and can help you. But it need also to be that the outcome is improving every life around the world. And I’m not a believer that you should save the world and lose your business, you cannot do that. But I think there is an important element of, as we do business today, that we need to think around everything in the world. And my view is very clear that today—a successful businessperson today need two things. They need strong business acumen, and they must understand the community. And if I go back 50, 60 years, it was just business acumen. I maybe don’t even need to go back that far. It was business acumen you needed. Today, you need much more. And I think then you’re becoming a much better leader, because you can also emphasize things, like you were talking about, where regulation could help you. TETT: That’s fascinating. I must say, I’m giving the commencement speech in Chicago at Carnegie Mellon on Saturday. And my father went to Carnegie Mellon. And he was saying that when he was at business school there, they only ever were taught about numbers. There was very little discussion of social context or anything like that. I think one thing has certainly changed in the last few decades is that, you know, even, you know, business schools are increasingly aware, as you say, of the wider social context, and things like environmental issues and sustainability. THULIN: Mmm hmm, yeah. And I think you—if you’re like 3M, you have—you, of course, do both in terms of what you can do yourself and the product we are selling. But we can help a lot of our customers to obtain their objectives, right? In all type of—if that’s automotive or aerospace or, I don’t know, the soft drink companies, et cetera. We can help them with our technology to obtain their goals to move ahead. And the other thing, you know, when you’re committed to that, if you like to talk to it with any CEOs, they will always give you time—always, because—yeah. TETT: Fascinating. Well, we’ve got two questions. Let’s do one, because that’s near a microphone, and then one, and then back there, and then—four questions. Q: And—oh, sorry—Hari Hariharan from New World Investments. Q: An obsession with trade deficits as a measure of free trade has become very popular in Washington. How does that square with the reality that fully loaded cost of production in many countries is a small fraction of America? For example, in manufacturing, Mexico’s fully loaded labor cost is like $4 per hour. And in Detroit, their number’s as high as 40. How can American expect production to come back with this level of cost disadvantage? THULIN: Yeah. I don’t think—my own perspective on that is that you—if you travel the world and see manufacturing operations, I think you have also to be very realistic and pragmatic and say: Some of it will never come back. And there’s maybe no reason for it to come back either. So I think you have to be really realistic. And I think you understand that when you walk the floor on manufacturing sites around the world, right? You certainly see the difference and so forth. Now, as we say, another observation that I have in terms of—if you have manufacturing operation overseas in some countries, and one thing—so maybe lower labor cost, et cetera. But one thing that this is not talked enough about is the high turnover of people. So there’s an incredibly high turnover of people in some of those manufacturing sites overseas. And I’m now talking more developing economies. I don’t talk developed. I don’t talk Germany and Japan. TETT: So you mean Mexico and China. THULIN: I didn’t call out any countries. We can talk about Azerbaijan and we can talk about India, or whatever. So the point is not specific countries. The point is the turnover is very high. So you can turn over 100 percent of your workforce in three to five years. That’s not productivity at the end of the day. So I think that’s something that needs to be talked about. But I think United States have an advantage. And developed world have an advantage relative to output and outcome. So you have—you can have big manufacturing sites around the world with thousands of people. But the turnover of the workers there is extremely high. And that needs to talked about individually place-by-place, right? So you cannot make a general decision about it. But I think that’s one of the thing that you have to think about. I can—I can talk about one example. I had myself 2000—maybe it was year 2000, when I had to make a decision around an investment back in Europe. And the choices I had was Germany versus Poland. Those days, you would think about—first of all, Poland was much lower labor cost, much lower, than Germany. Germany was then viewed as bureaucratic and very expensive. TETT: The sick man of Europe. TETT: No one would have dreamed then the White House might be looking to Germany on lessons from joblessness. THULIN: Right. OK, this is—this is 2000, right? And this is a huge investment for our health care business. And I led health care myself at the time. It came down to then the best investment for us was in Germany. THULIN: Yeah, because the engineering capabilities was much higher and the productivity of outcome was much better over time. So the investment was done in Koln, in Germany then. And in fact, in beginning of June, we take a big group of investor from 3M to Koln in Germany to show it. TETT: So it’s all about localization? That’s fascinating. THULIN: Or, regional self-sufficiency. But you have to reduce as much as you can the supply chain. You would like to have product—less product on the sea the whole time, because it costs money. It costs money. Q: Bhakti Mirchandani. I work at a hedge fund. Thank you for an interesting discussion. THULIN: I don’t think that will happen. I don’t think that last point will happen. TETT: You don’t think border taxes will happen? THULIN: I didn’t say that. I don’t think they will lay off all those people. I think there may be something on the border tax, but I think that’s now into tactics of the discussion. So I don’t think so. What I don’t think is I don’t think those jobs will go away. But, again, you have to think about it of—you push something, right? You push it big time in order to get the reaction, right? And I think there was a reaction. And I think the retail industry, if we call it like that, did a very good job in terms of making the case of what complication that would be for the whole chain. And so I think they did a very, very good job, and rightly so, right? Rightly so. TETT: We had another question back there. And then there. So, then there. Q: Good morning, Inge. Thank you for a great conversation. Q: Judy Nygard with Deloitte. So my question is the balancing of an increased focus of countries are national and companies are global. So there’s a natural tension of that. An environment of overall focus on protectionism, as well as the shifting landscape of the role of technology and the role of talent. What would you say are the top priorities to drive growth globally, nationally, as you think about that within 3M as well as the broader business environment? THULIN: Yeah. I think you have—I think you need some disruption in order to make sure that growth is coming. And in my view, there is two things that is driving growth. So I take—so in IPI, industrial production index, or GDP, these metrics. The two things that are really driving the world in terms of growth, in my world, is technology conversation and demographic shift. Those are the two things that drive growth. And that is what you need to focus on if you really would like to be successful. So that’s one theory I have. The other theory I have is that you need people that are doing things differently, not only better. So the way we—I think about the—if you think about a bell curve, in the middle of the bell curve you have the CEO. He or she is best practices. That’s what we do, best practices. Then you have in the beginning of the bell curve—you have people who do things better. But on the other side of the bell curve you need more people that do things differently because the people that do things differently, that is what will create value. So you need some that are doing things better, right? You need to improve something a little bit. But there are people doing things better. You cannibalize yourself, if you like. But you need more of the people that do things differently. So that is the disruption. And I think that that is global by definition, right? So if you can do that, you don’t need to think too much about borders, et cetera, because people will like to use those product globally, right? They would like to use Post-It globally. And that—if you think about it, that we maybe think today is a little bit strange, but think about Dr. Fry and Dr. Silver that developed Post-It at that time. That was to do things differently. No one had ever seen it at that time. TETT: So in praise of mavericks in Minneapolis. TETT: I think that will provide lots of management consultant manuals going forward. Q: Yeah. Hi. I’m Bob Rubin with the Council on Foreign Relations and Centerview. Q: Good morning. The question is this: U.S. manufacturing is, roughly speaking, at an all-time high. But manufacturing employment has declined. As you look forward, using your company as a prism, for five or 10 years, if you have the kind of technological development you’ve just described, what is going to happen to jobs in the United States, and what do you think might, as a matter of policy, be done to deal with that issue? THULIN: Yeah. I think—first of all, I think and I hope that it will increase. But it maybe will be different and maybe more sophisticated. And I think it’s—the more I think about this whole theme around it, right, I think that there is an obligation for us to get a different education system in place. I think that’s important. And there’s something around—and I think that’s the difference with, as you brought up, Germany earlier. In Germany, if you go there, there is a proudness to go into manufacturing. So they have almost moved backwards 50 years in the mindset of here’s a job, it’s a really good job, I will earn money, I can—I can develop myself in that. And there is a system in order to take care of those young kids that are coming out to work, right? TETT: Well, including you. You started your career in finance. THULIN: Yeah, including me, yeah, right. So—and I think that need to change in the mindset. So it’s almost like proudness of, oh, this is a good place to be. And then you need to have a frame around it with education and incentives, et cetera, right? But I’m much more positive around manufacturing in United States than negative—much more, much more. THULIN: Of course, we’ve all read it. TETT: (Laughs.) Yeah. May not have seen that, you know, we have a fantastic scoop on the front page: Hackers have second U.S. weapon primed for attack. This is about the WannaCry cybersecurity issues, which apparently have been stolen from the NSA and are now being used to attack companies. There’s a second weapon coming, apparently. First of all, have you been hit by WannaCry? And have you been hit by ransomware? THULIN: So let me give you some facts. TETT: Great. We like facts. THULIN: Yeah. So 3M spent 850 million (dollars) in IT annual. Almost 10 percent of that is in cybersecurity. THULIN: If you go back five years ago, we maybe spend 650 million (dollars) in IT and 2.3 percent in cyber. So if you think about IT have an offensive and a defensive element. And the defensive element is increasing year by year by year, right? So to my knowledge, relative to the latest thing that happened here, I have no information that we were attacked. So that’s the answer to that question. But I think, more importantly, is, like, the investment that U.S. and enterprise need to do today in order to secure their systems, et cetera. And for us, it’s, of course, very much around IP, right? I mean, it’s like we are very IP—we have—we have over 100,000 patents, right—100,000 patents. I think it’s 105,000 patents. So, for us, it’s to make sure that we are protected on all of those type of things. TETT: If you dial back five years—and I’m sorry, I will come to your question in a second—but if you dial back five years, I was speaking to a lot of CEOs in Washington who were pretty unhappy with the perceived lack of support and, above all else, transparency they were having in their interactions with the intelligence services. And I’d also speak to people on the Hill who were furious that CEOs were not all signing up to various disclosure, you know, agreements and stuff. Do you think you’re now getting sufficient support and help from the intelligence and military services in this respect? And is there actually more need for CEOs to come together as a group? And is there any way to stop that increase, 10 percent of spending, going up and up and up? THULIN: On the last question, I don’t know if that’s possible or not. Maybe. So I don’t know. I cannot say from where I am sitting that we have had any problems in terms of help and support. And, you know, we constantly—now, we are in Minneapolis, St. Paul, Minneapolis. So we maybe get more attention as a big company in a smaller community, right? But we have never had any problems with any type of help and support relative to if we have seen something potentially coming up. So I cannot say, no. TETT: Right. OK, we have one—we have one last question here. Q: I hesitate to go on stage after the great hacking question. But, Phil Huyck, Encite, LLC, which is a technology company. To go back to your R&D dichotomy, your two ends of the bell curve, big pharma, for example, has effectively abandoned their own research efforts, with the assumption that there are small players out there that will bring them the technologies which they can’t define, but know it when they see it—to use a pornographic analogy. So in terms of your emphasis, R&D, do you find that your R is coming internally generated, or do you have a program or a strategy to try to vacuum up these innovative technologies as they appear externally? THULIN: Yeah. So as always with enterprises, there is a history and there is a DNA in the company. And I think if I go back 25 years or so, that could never—we could never go outside 3M in order to get something, right, because we knew best. I think that was the mindset. Very smart people. We are the best, and so forth. Every third person you meet at 3M has a Ph.D. So we don’t need to go outside. That has changed over the years. And today there is two things going on. First of all, we work with a lot of smaller company, and universities, in order to—many universities, in fact—in order to make sure that we can work with them in order to develop new things. And the other thing is we have something called business venture. And the business venture is when we invest in companies that have a technology that we believe can be big for the future. So there is a special organization doing that. And then that will be connected back into the business over time. But if it’s disruptive technology—if it’s a real disruptive technology even to ourselves, we keep that in business venture, because we I personally are strong believer that if you have it part of your own organization it will be killed. It will be killed over time. And I think you can—there’s many studies of enterprises that have tried new ideas. And if that was a threat to what the core group did, there is a tendency that they will be killed over time. And then it became successful when they put it outside in an enterprise and tried to attack their own organization. So I am—I’m very—so the answer is yes, we do both of those. And we could do more, I’m sure. We could do more. But there’s been a big shift in 3M the last 20 years, I would say, to the idea of getting ideas from outside. I am very fascinated of the idea that almost all disruptive technologies coming out from your—outside of your own industry. And if you start to think about it, that is what is happening in many cases, right? You can see total new—because it’s not only technology. It’s also business models. And the business models is often coming from someone else, but they’re really taking you on in your own traditional business model. And you couldn’t see it coming because you are not there. You cannot—you run a day-to-day basis. And you think what you are doing today is the best, or the only way, et cetera. So that’s—and we have many examples of that, right, where you are seeing companies coming and taking on established businesses big time. TETT: Well, that’s fascinating. And it’s a great moment to end on. I think it’s been a fascinating conversation. I think that your comments about localization and regional self-sufficiency as opposed to globalization and global supply chains is fascinating. I think what you said about the manufacturing power of the U.S., and also the need to train more people in new technologies is fascinating. I think your points about Germany were fascinating too. And also, your definition of how a company stays innovative and the need to celebrate, as I like to say, the mavericks in Minneapolis. So it’s been very wide ranging. And I thank you for your honesty and frankness in discussing many issues. But I guess the thing that really strikes me above all else is your optimism that the current administration can find a pro-growth, pro-business agenda, and that it will, as you say, continue to listen and take on board what people like you are asking for. I hope you’re right. So thank you very much, indeed. THULIN: I think we hope that’s going to be right, of course.